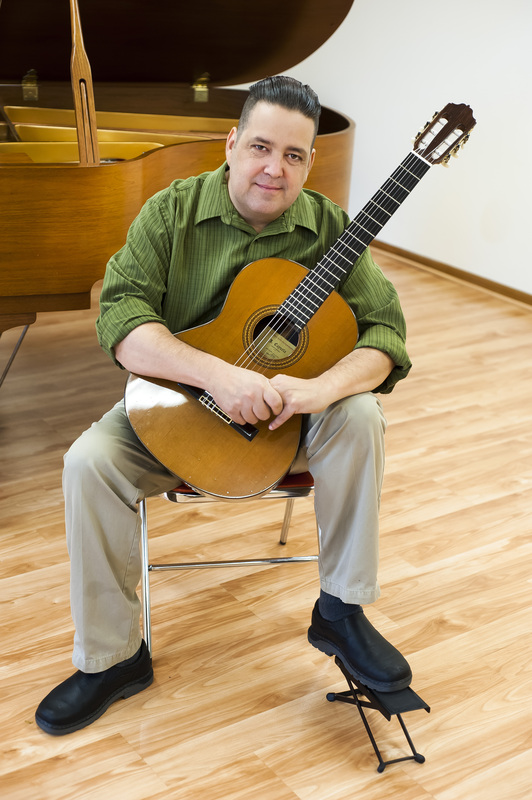 Christopher Whitney studied jazz guitar with Derek DiCenzo at Ohio State University, and has performed extensively in the genres of rock, blues, country, and classical music. Since 1998, he has taught as many as forty private students per week, many of whom have gone on to pursue the instrument through college, conservatory, and performance. In addition to his teaching activities, Chris has written, arranged and recorded original music for many projects, including the score for the feature film A Genesis Found, and several music projects including Madrigal, Local Color, Freight Train, Erica Hughes and the Well-Mannered, and his Rockin’ Trio. Make an appointment for a discounted first-time consultation or a 30/60 minute lesson with Chris via our online booking form, or contact us for more information about our services.